Social media drives lot of changes in marketing strategies. Elements like; The ratio of growth, techniques, and procedures in marketing has evolved. Social media like YouTube and Instagram are new sources for customers. There are many famous YouTube’s channels and star profiles on Instagram; they have a huge following for their profiles. This became a new applied strategy for companies. Initially, companies used to exhaust more money on the advertisements and publicity to create awareness. 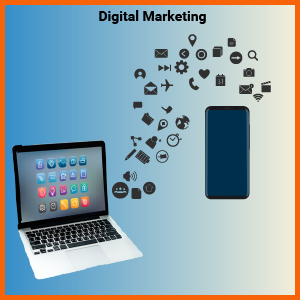 In this evolving world, companies come across various new strategies and techniques for marketing purposes. Now social media is the best platform to increase the marketing and drives traffic, this shows a clear sign of influential marketing. Customers are now looking for the expert reviews then, they create an opinion on the product. Olden strategies used to identify customer requirements and needs, that are now evolved. If an individual got satisfied with the product then he/she will refer it to other. This is now followed by the companies and also on social media. These are few ways to improve the traffic and turn visitors into valued customers. Marketers must identify the interest and priorities of the customer. Customers look after reviews about the product on blogs, Instagram and YouTube. Marketers should be able drive visitor into a buying customer; they must include their complete effort in analyzing the customer needs and requirements. This is how they improve the traffic and increase the number of customers than visitors. The opinion of the customer should be considered and responded according to their interest. Making a strong relationship with the influencers is the best way to improvise audience in a more effective manner ”influencer marketing is not an overnight process”. This should have a clear display of bond with customers and convert them into a valued customer. Relationship with the influencers will help you to find the target audience and enables to create a customer-related environment. After the target audience are identified, marketers should decide the type of campaign to be executed. There are many perspectives to be considered in this process like; the way influencer addresses their viewers. Based on the situation, the marketer should follow the efficient way to drive the customer into action. The marketer must know what is good for the brand and these are the few questions should be considered during campaigning, what sort of reach you’re after. Whether to improve traffic for website or else to the strength of social media. The moment marketer create a potential relationship with influencers, then it is a right time to maintain some sort of contacts with them. This means getting involved in everything that happens on social media. This indicates in identifying outspread levels about brand name and their out spreaders. Once the contact is established with the influencers and employ the influencer as a publicity object for the brand awareness. This process makes job easy for the marketer. This process helps in maintaining contact with the influencer and can identify the margin of influencer impact on the brand popularity. Content can be created in many ways, but our perspective is to publish more content to lead to more traffic. Marketers should be concerned about content created by influencer and readers content as well, that should increase more leads and better traffic. Marketers use social media platforms like Instagram and YouTube to create brand awareness. Popular YouTube channels and Instagram profiles publish content in their profiles that will make a lot of difference in creating traffic to a product. Create and publish the content on their profiles and YouTube channels will make their followers to view the post and that will increase the influencers towards the product. Marketing through advertisement is gradually decreased and the TV advertisement marketing is off the radar. They were lot of attempts executed on the advertisement marketing and that turned out to be bad on many occasions. Providing the useful content for the influencers and not forcing them to use services and products. Provide content that should be useful to the influencers and will improve product promotion by the influencer. Impact of TV became inferior. Instead of TV ads, provide useful and related content to the influencer for the better traffic and publicity of the product. Hearing positive quotes from the influencer is a positive sign of development. They should be thanking worthy. Sharing their content and providing free products and mention them with the reward of their work are few ways to thank influencer. Thanking influencer will increase positive quotes about the product and also the traffic even. Pay the cost to influencer is also a way of rewarding. The problem is whatever the content is shared by the influencer must be honest, else complete effort will be turned into a paid advertisement. Rewarding and thanks for saying to our influencers will be a decent thing. Influencer marketing will have a better impact more than the traditional advertising where both have the same functionality, but the marketing levels just shattered down in traditional advertising. 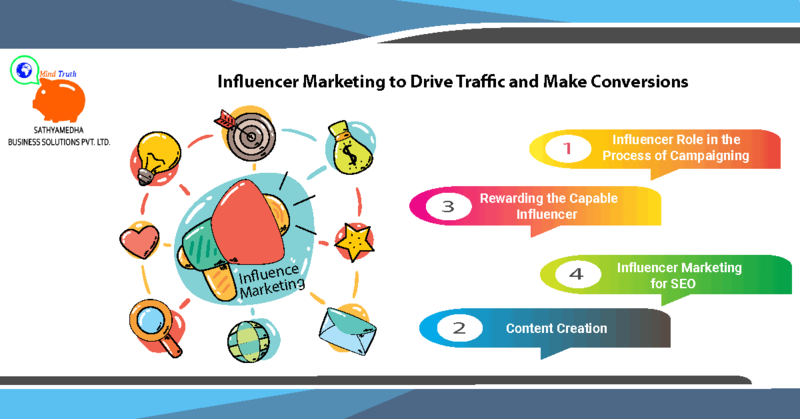 Influencer marketing will have more organic content, here they have useful content through which they can able to find solutions for the real-time problems. Influencer marketing is more pleasurable and will provide a natural experience for the reader and reduces their work. This results in earning their trust and it won’t look like marketing play. Influencer marketing will have a rapid growth in turning visitors into customers. Compared to the organic search and Emails. Organic search will have less impact on marketing; this doesn’t mean to stop following all the organic techniques. These organic techniques give unique brand recognition. Influencer marketing will provide a better result that means playing smart with less effort is better than the playing hard with effort. Being experimental may cause unexpected results when it comes to the influencer marketing. It is a cost-effective marketing strategy. It makes more revenue than the amount of investment. Influencer marketing will have the best impact on revenue earning and it means things can be sorted out with ease and ensures experiments on the product. The marketer has more possibilities of achieving bigger budget at the end of the disposal. Influencer marketing will have a better outcome than the old traditional technique. Recently Google has changed their algorithms that are focused on SEO. So it has relied on the user content and social media. The top brands are entirely dependent on the generating content and social media platforms. This is widely used and also best process for every brand. The marketer has to keep track of every information useful for the development that will sharpen their marketing strategies. A marketer can analyze each and every single aspect of the influencer marketing through Google analytics tool provided by the Google. This helps in creating a demographic view on influencer marketing. Tracking and maintain information to anticipate forthcoming situations.